The implication is there was a structure up on that hill before Khufu ever came to Giza. Was that MT part of that “Isis” enclosure? Then, the MT would of course be number one in your challenge. If someone now posts there was no Isis when Khufu came to Giza, I refer them to the paper, where all of this is addressed. If possible could you please post a link to that paper and also to the Trial Passage hypothesis as I am unaware of that line of thinking for their construction. It is very probable that the main road which leads up to the Pyramid Plateau is nothing but the remains of one of the construction ramps, of which there must have been several, and of which the remains of another is still existing towards the southern part of the village of Nezlit-el-Semman. Actually there was little hope of finding anything of importance in this area, which had been a highway to the Sphinx for many decades. This lends some weight to the Causeway not being a construction ramp but was built for another purpose. 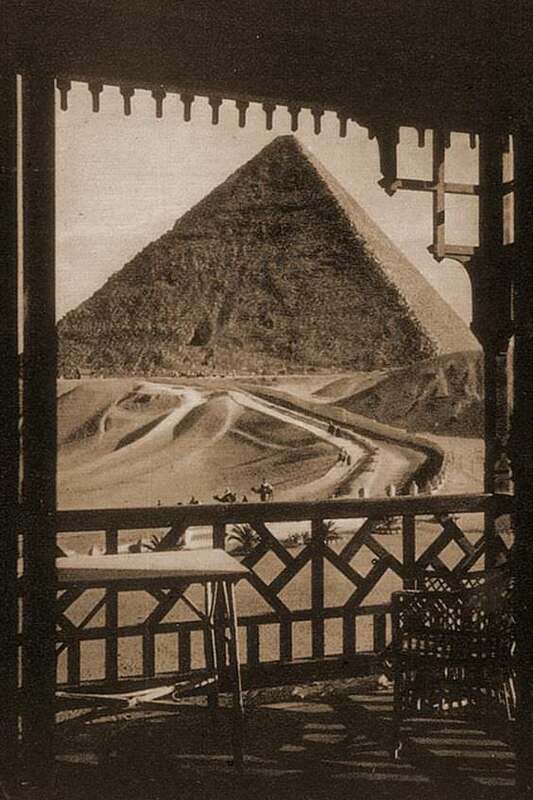 It is also interesting that until 1938, at least, the main roadway to the Sphinx was from the north, unlike today. The 1883 image below shows that access to the plateau was not difficult or steep and, considering the massive gable blocks at the Entrance, for starters, this may have been a more practical route for them than the southern or eastern alternatives. Edited 1 time(s). Last edit at 06-Jun-18 02:25 by Barbelo.